Barska 30mm red dot scope for crossbow. Featuring Ultra-fast target acquisition, pinpoint accuracy and wide field of view, ideal for handguns, rimfire rifles, shotguns, pistols, blackpowders and crossbows. 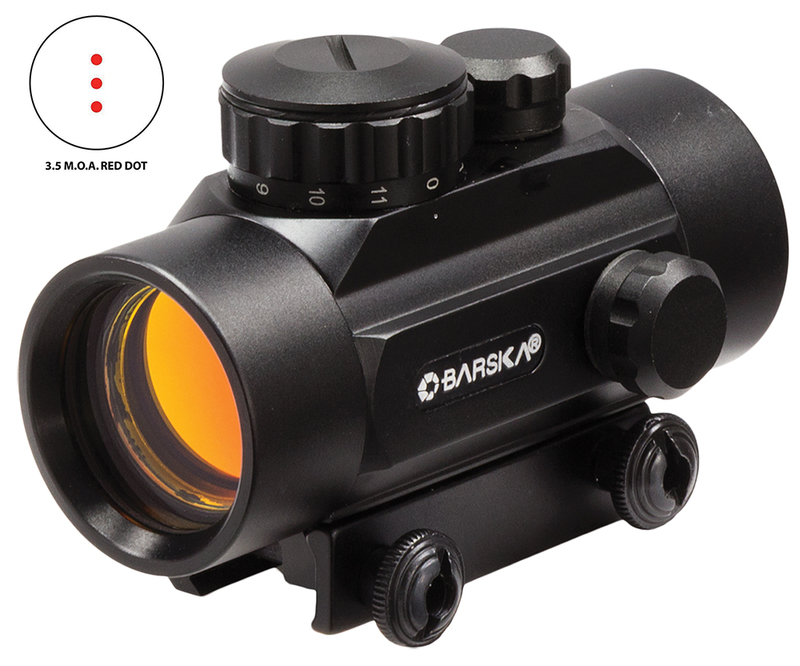 Finger adjustable rheostat, integrated mount, unlimited eye relief and anti-reflective multi-coated optics.